I'm a big fan of DaftPunk. I recently started to use Blender 3d for sculpting. After a few bad attempts to sculpt humanoids, I decided to step back and do something much easier. 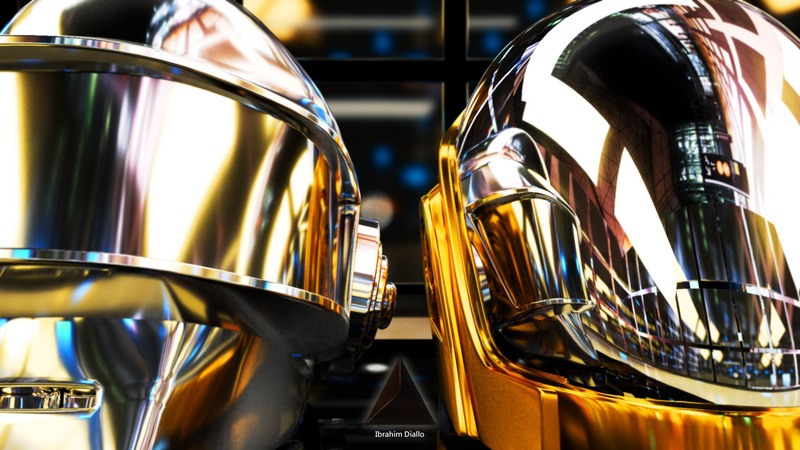 I stayed up all night to get lucky! 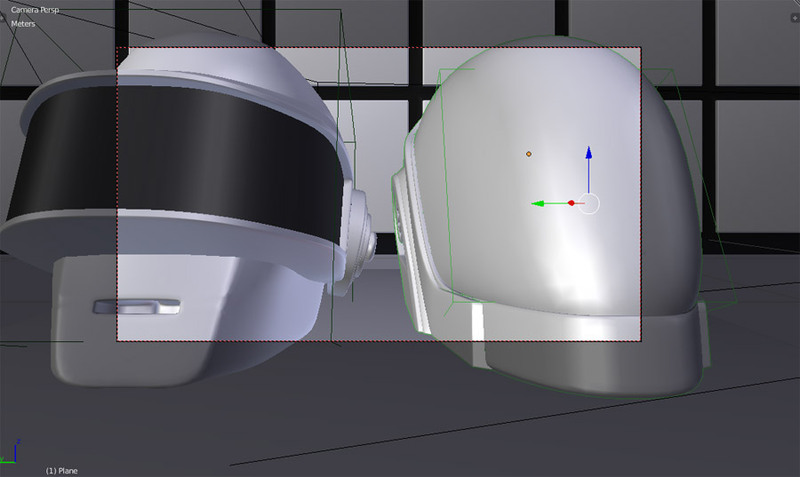 These images are made in Blender 3d. 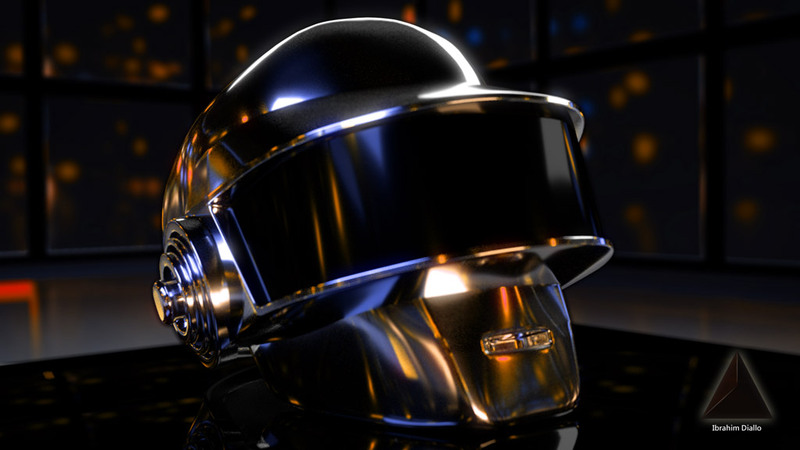 The helmet itself is made of reflective material (gloss + fresnel). The room was created for another project but worked well for it. It was inspired by an image I saw on videocopilot.net. My image looked horrible, so I forgot about it until now. The lights are what makes the image interesting. 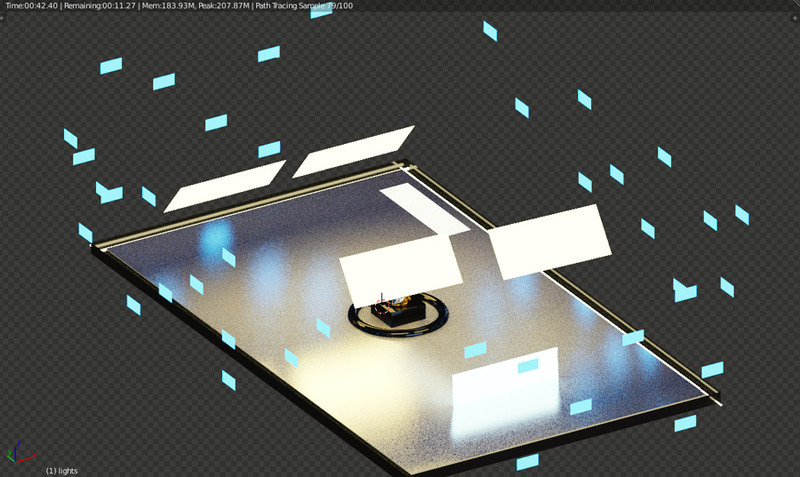 I randomly placed the rectangles outside the scene. Each with an emission material. They are not rendered on the camera just used for the reflection. 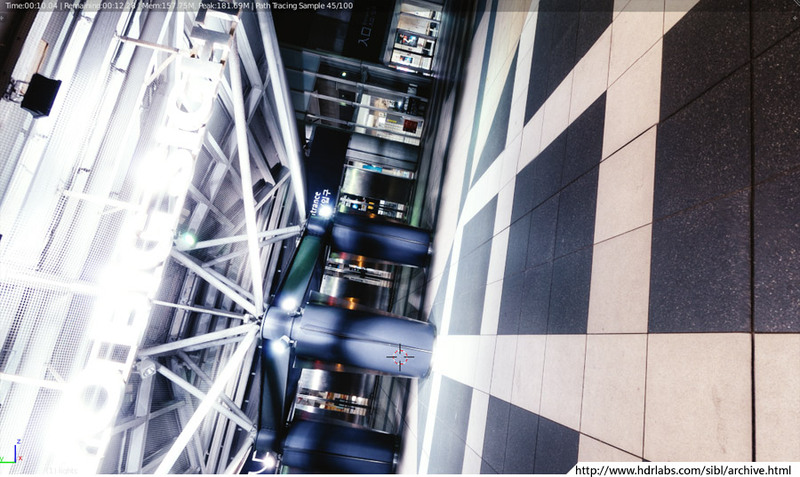 For the top image, I added more rectangular lights to make the reflections more interesting. Here I hid the walls and made a preview render so you can understand better how it all looks like. 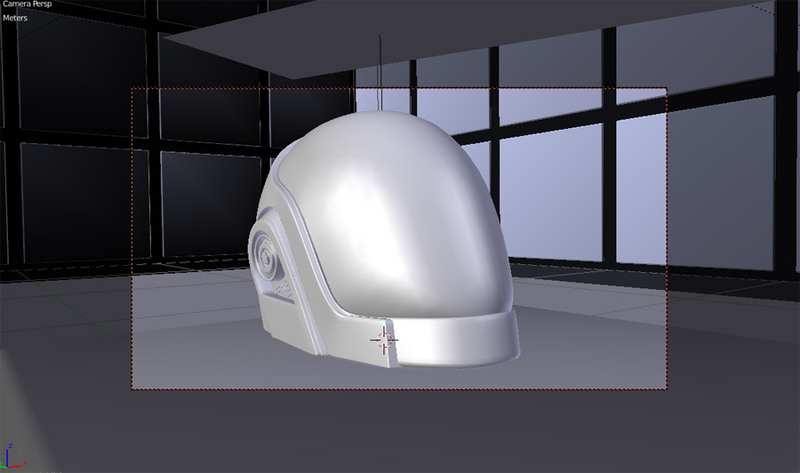 I positioned the white emission objects to create the pattern of light on the helmet. 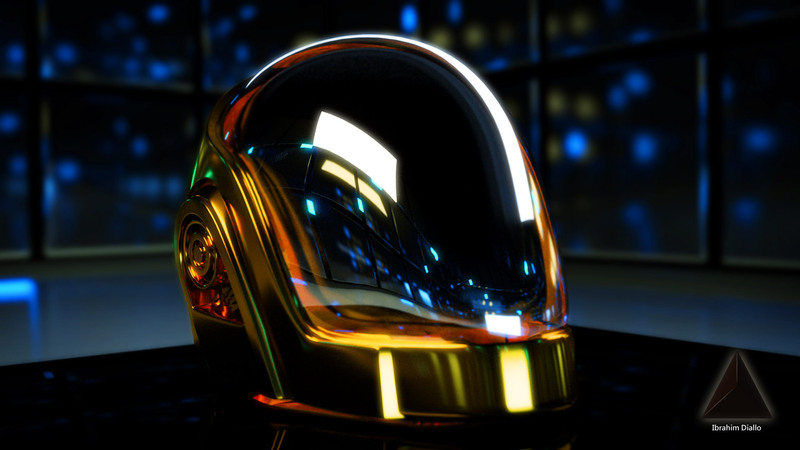 I added a rim-light too on the back of the helmets as suggested by a CGcookie user. 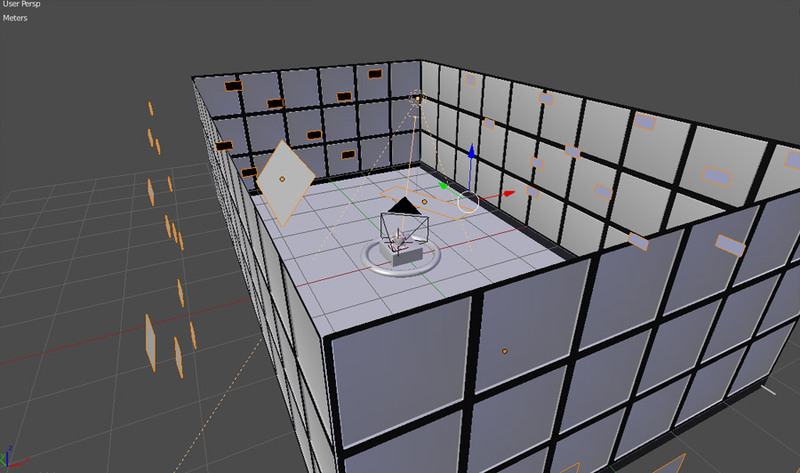 It helps separate the objects from the background. The image still looked dark because I was using a simple black background. I used an HDRI from hdrlabs. I used a tip from Gleb Alexandrov, randomly rotating it to create a more interesting perspective. That's all I got for you. Thank you for reading.